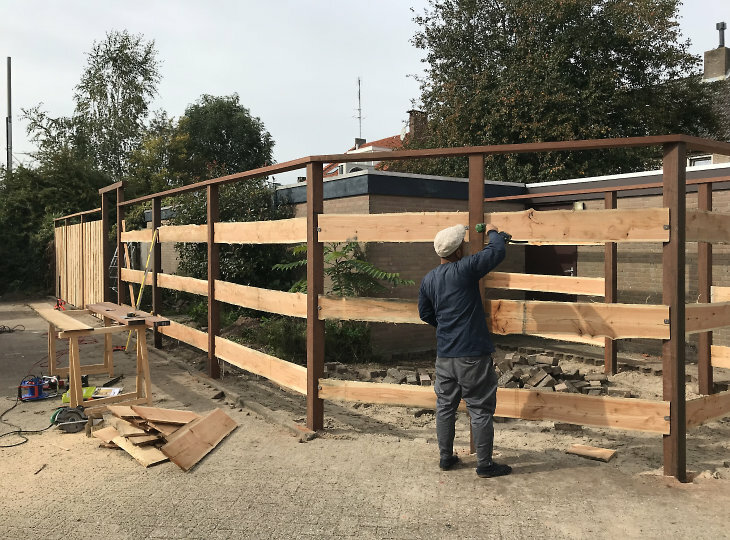 A very special project in Eindhoven, the Netherlands. 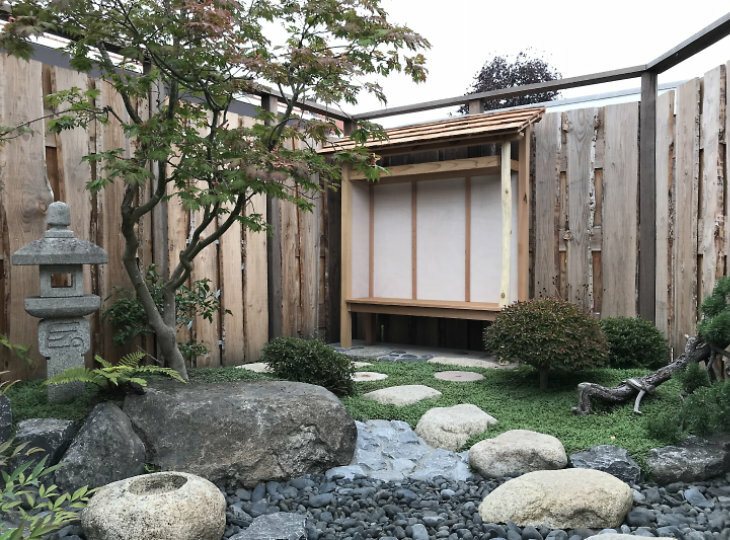 Yokoso Japanese Gardens got approached by the tea master Michel Decré. 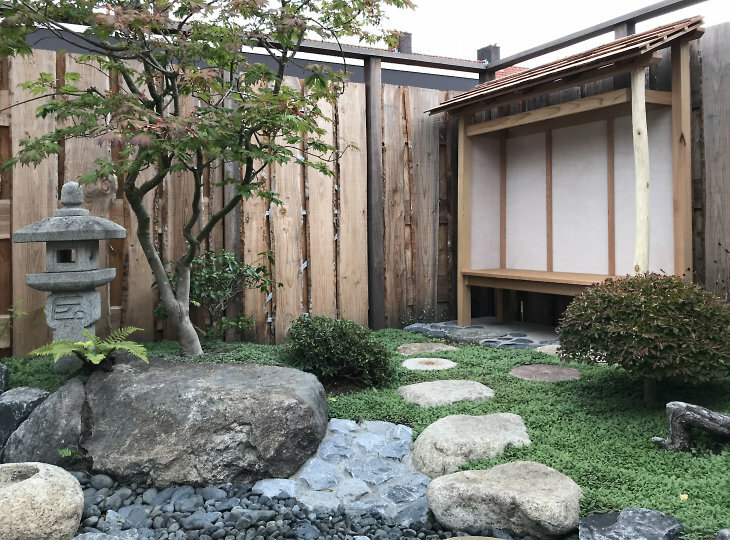 The tea master had conceived the plan to have a real Japanese 'roji' or tea garden. 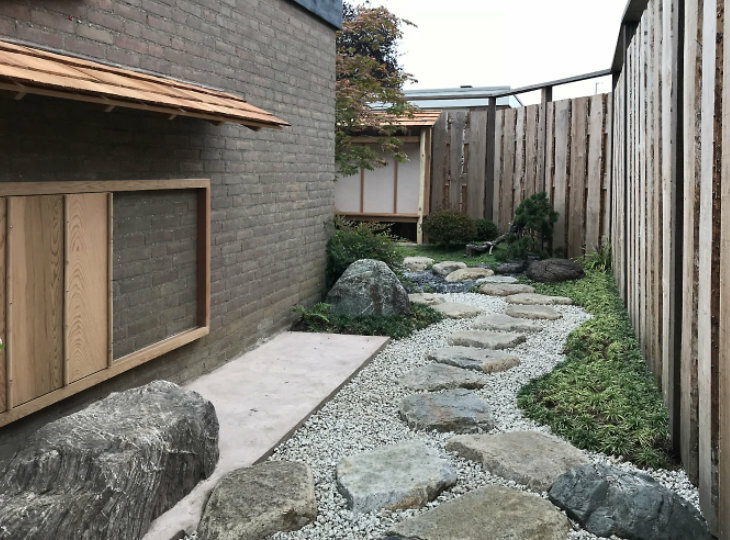 Michel Decré had already built a 'chashitsu' or tea room where he teaches his students in 'chado' the way of tea, or the Japanese tea ceremony. 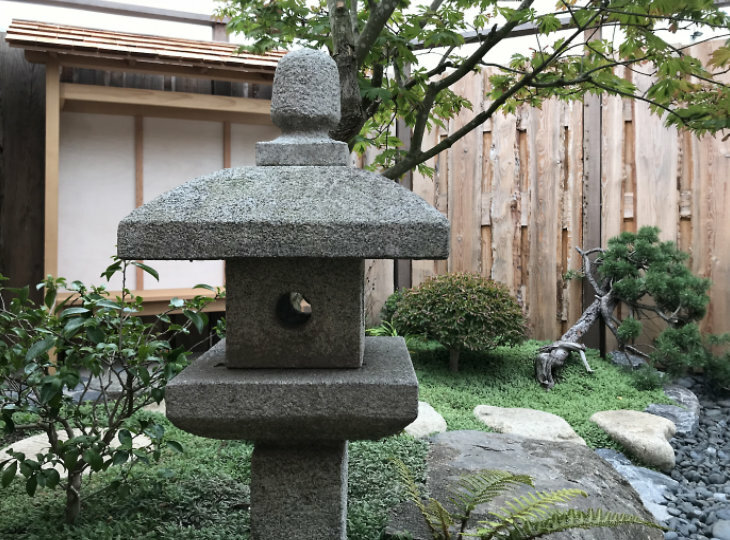 The garden should connect seamlessly to the tea room. 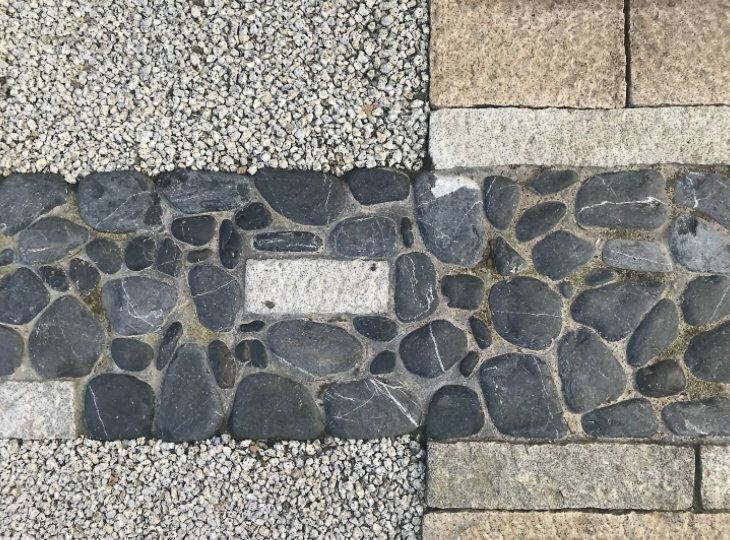 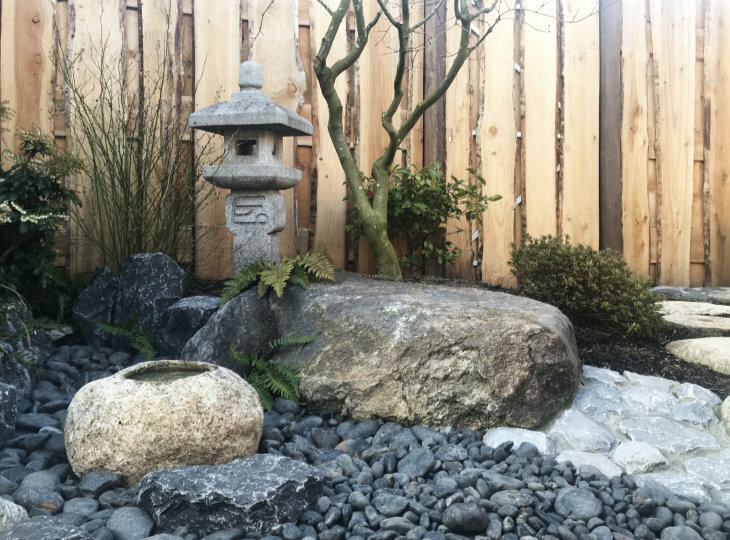 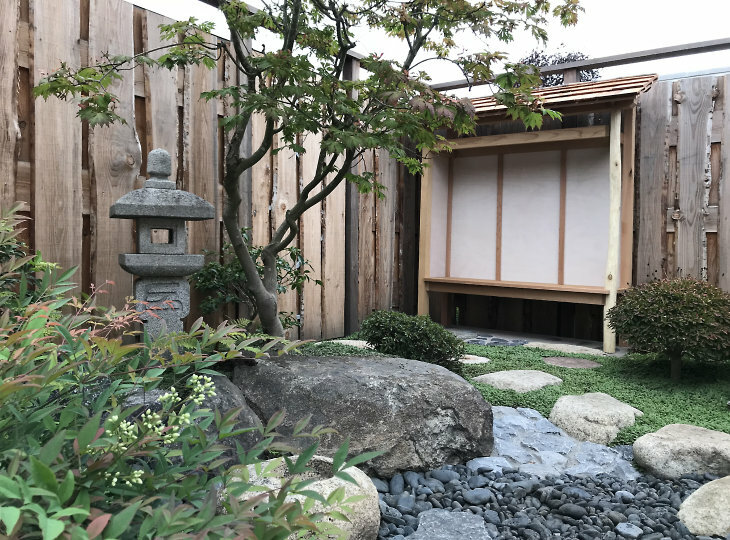 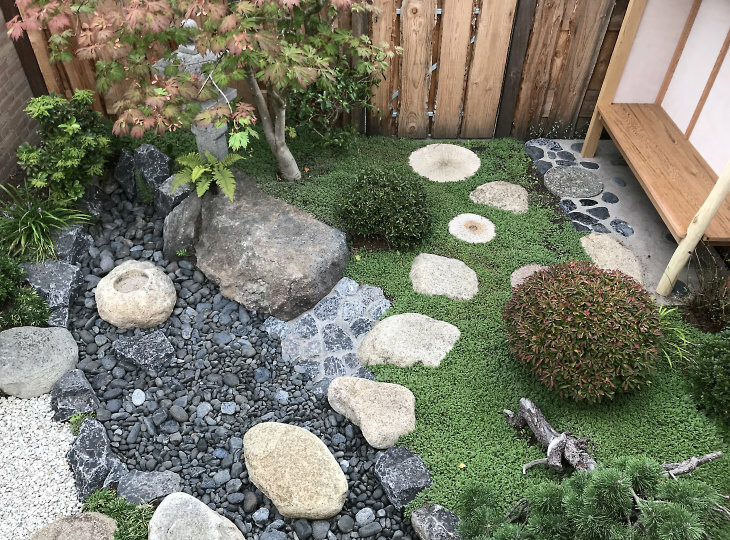 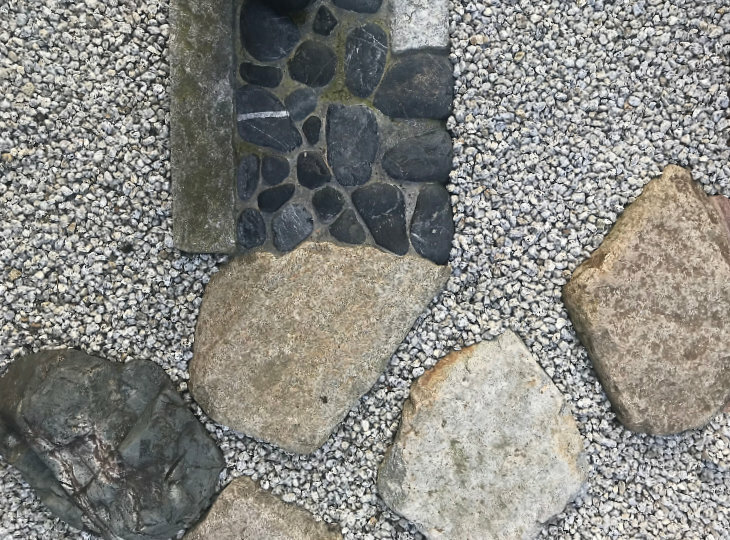 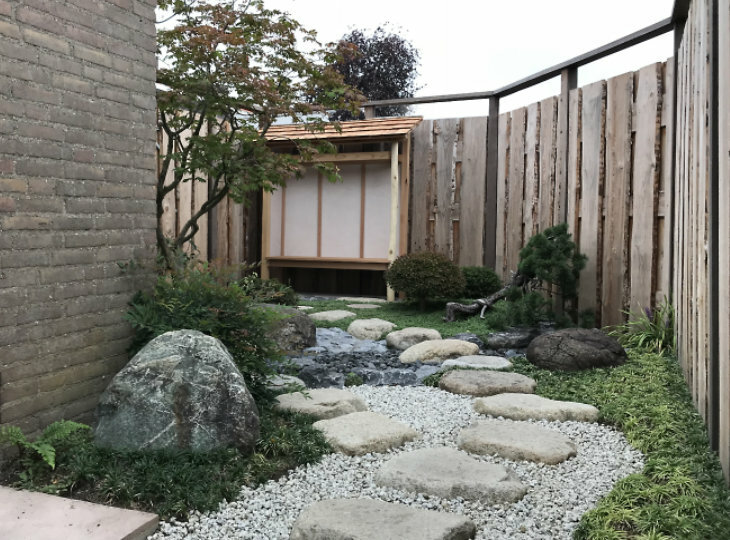 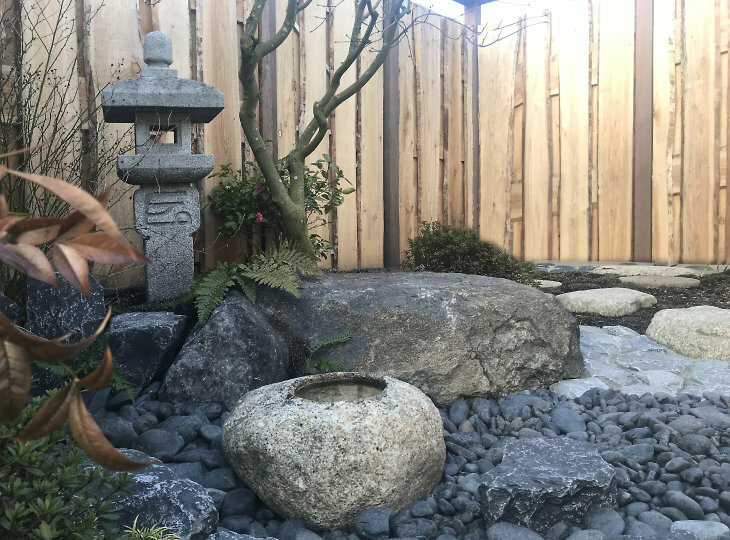 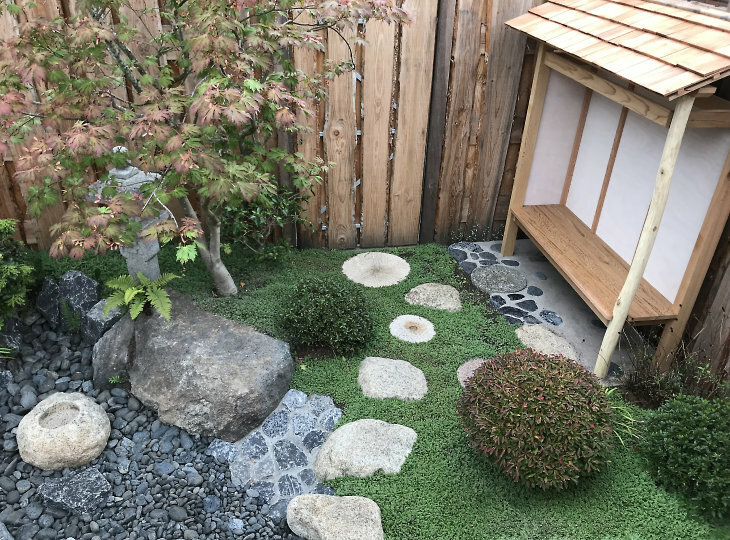 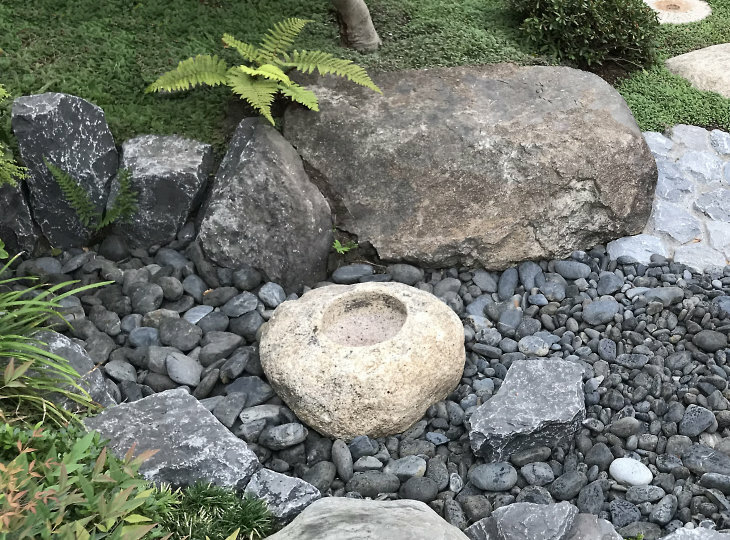 Masui Sachimine, a garden master from Kyoto and also a student of Michel Decré's sensei, produced a detailed design and was planning to come over from Japan to help build the garden. 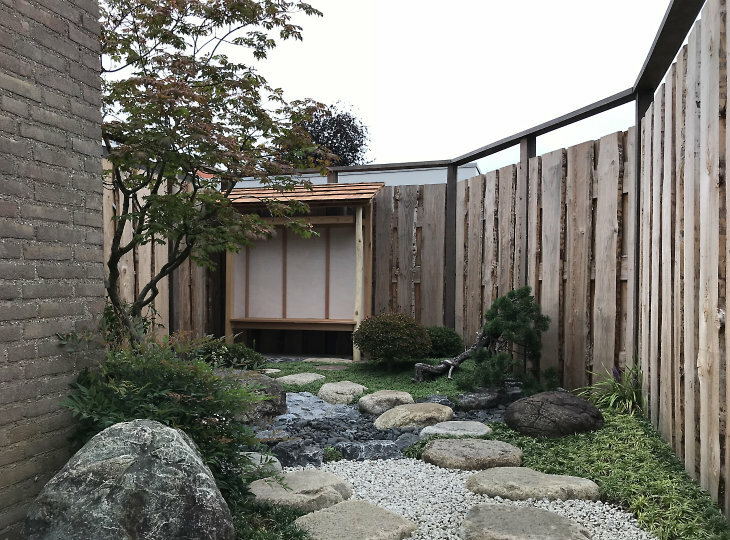 In the meantime, Michel Decré had also heard about the work of Yokoso, and, partly due to practical considerations, he decided to have Yokoso carry out the creation of the tea garden. 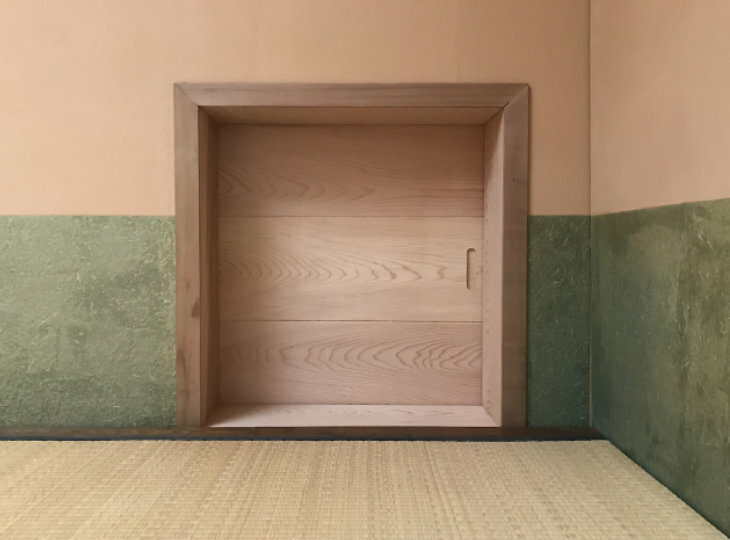 The first time we visited the location was a strange experience. 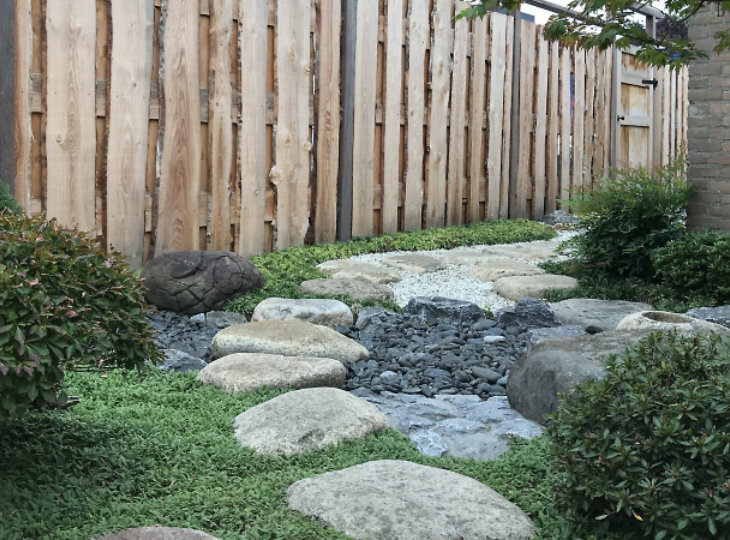 The garden swas to be built in the parking lot behind the house. 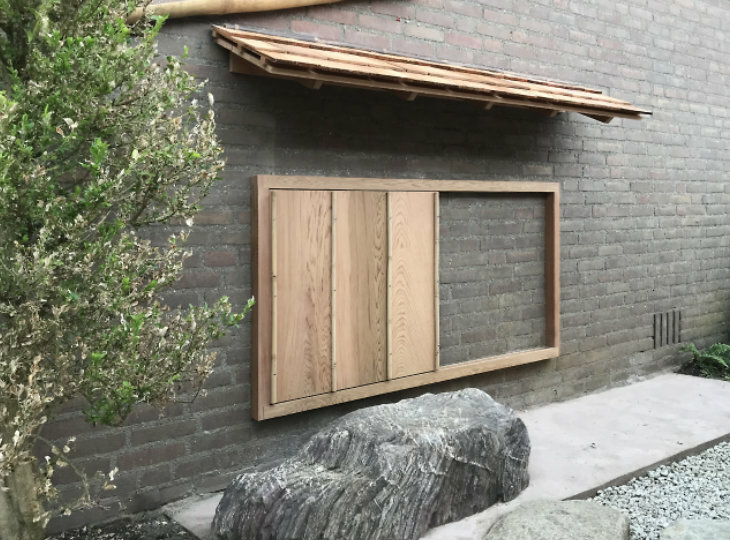 After careful selection of materials, trees and plants, work could be started. 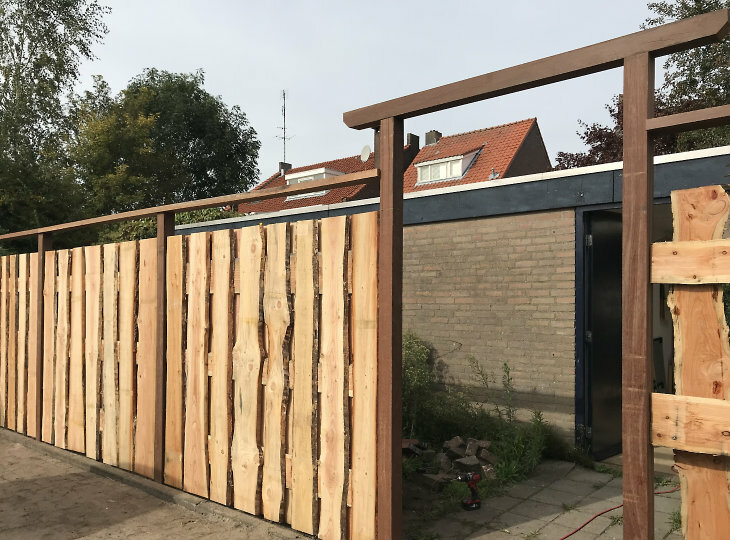 When finished the result was very close to the design. 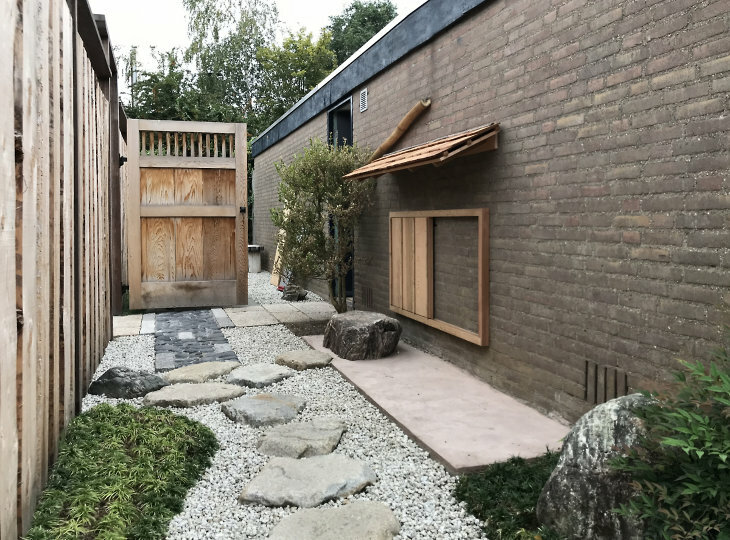 At a later date even a 'koshikake', a garden shelter and a 'nijiriguchi', small door to the tea room, were added to the project. 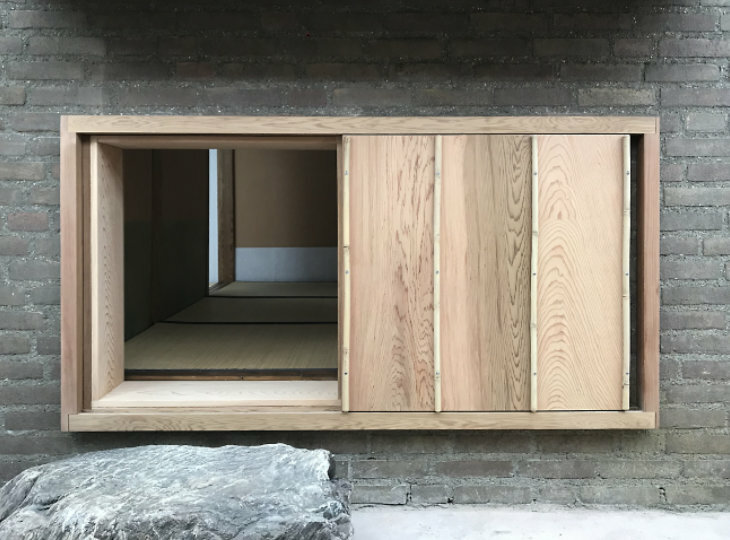 The woodwork was carried out in Western Red Cedar. 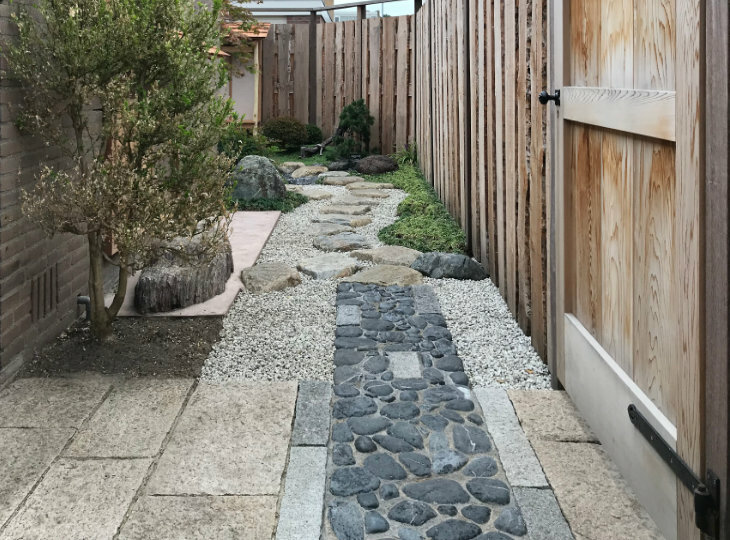 Although the garden itself is not large and narrow in shape, the balanced design creates a beautiful courtyard. 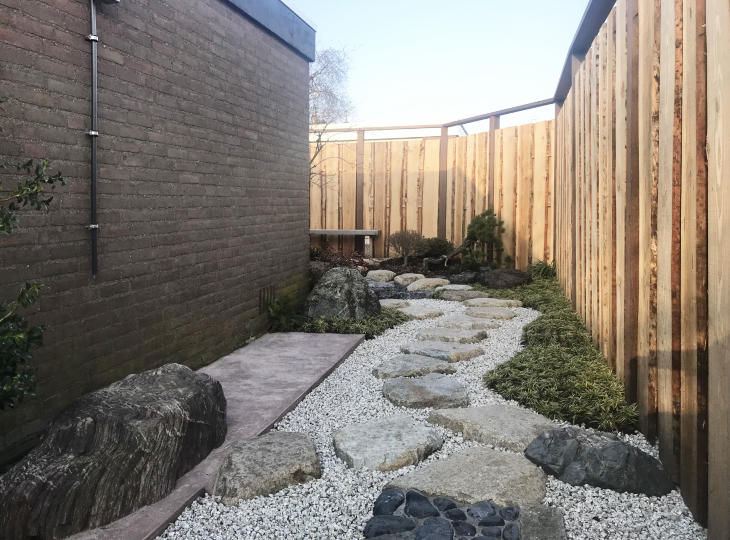 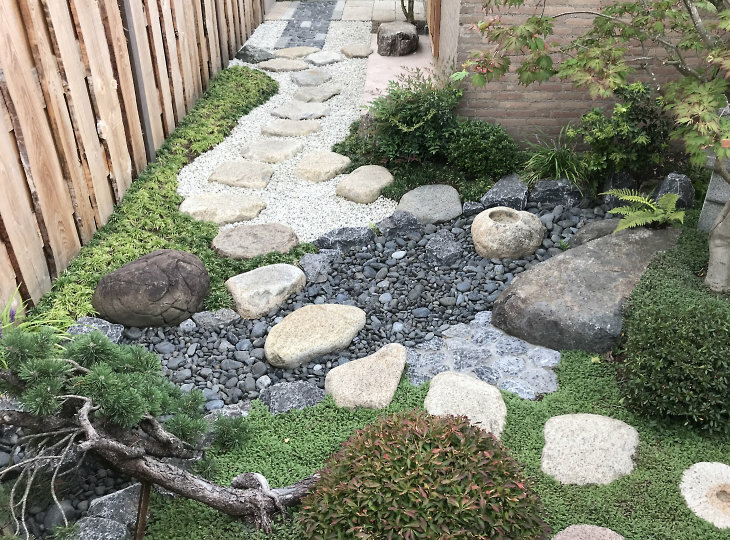 A small piece of Japan in the Netherlands. 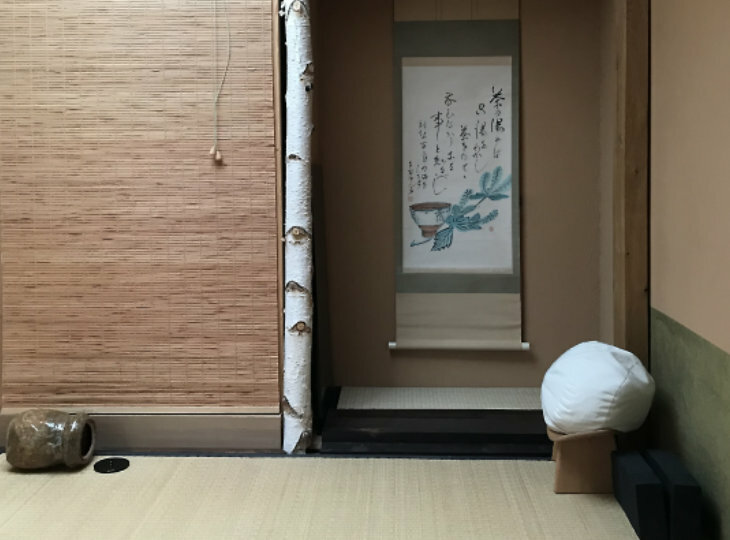 Tea master Michel Decré and his sensei are very satisfied with the final result.